"You are the finest, loveliest, tenderest, and most beautiful person I have ever known -- and even that is an understatement." If there is no one to say this to you, say it to yourself. Believe it when you speak it. We speak our destiny into existence with our words. And, if someone doesn't think she is that person right now, begin in this moment to become her ... one tiny choice at a time. 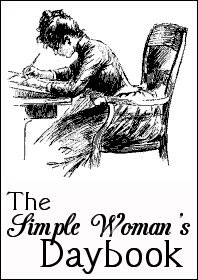 On that note, I offer you my February Edition of The Simple Woman's Daybook. Looking out my window... There is a softness to winter today. I feel a surge of elation as I peer out into sky-blue-pink skies this morning. 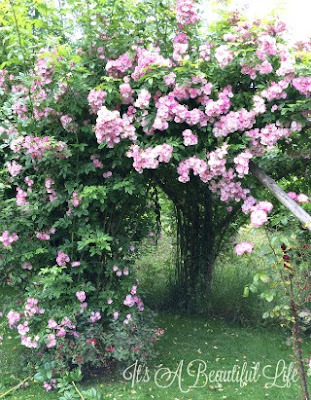 A creative energy swirls in the air -- much like the flurry of sparrows swooping from the neighbour's shrubbery to our mock orange bush, past the kitchen window to find the bird feeders. The backyard is a-flutter and I wonder how they fly in such unison without bumping into each other or getting tangled up in wings. I know there are scientific reasons, but it's mesmerising to watch. I am thinking... 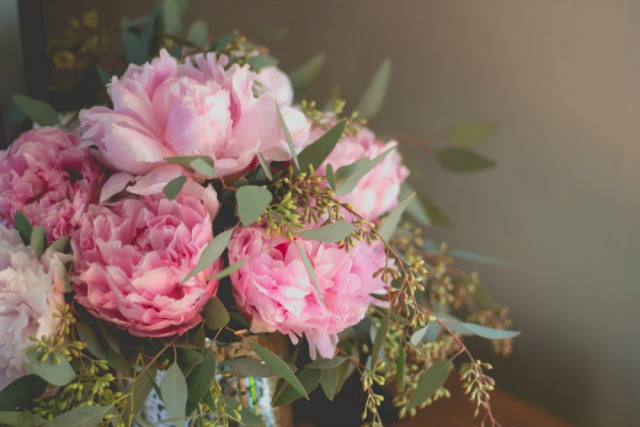 If you live long enough, whatever fashions, home decor styles, or music you experienced when you were a child or young adult, what has gone out of vogue eventually comes round to be presented as the latest and trendiest for the now generation. And we feel a tiny bit smug because we know better. Some fashions or trends I don't care if I ever see again, but there are some things that actually make me feel like I'm catching up with an old friend, completely happy to see her after all this time. Such was the first moment I caught sight of these photo boxes. Yesterday I was in Michael's looking for some Valentine's Day miscellany and what did I see but stacks of these shoe size photo boxes. They were even in some of the old patterns and designs that were popular when they first appeared in the 1980's. In this day when everything is digital, there wouldn't be much use for them as photograph storage. I don't keep or store as much 'stuff" as I once did -- although my husband might disagree with that assessment -- so I held myself to buying only two boxes yesterday. Not to store photos, but I'm such a magpie when it comes to collecting the odd bits and bobs of paper treasures, buttons, ribbons, paper cutouts from magazines, rocks from the seaside, pretty cancelled postage stamps, old greeting cards from friends... the list goes on. I am thankful... there is no place I need to be on a Monday morning. Except in my own house, sipping my coffee without haste, watching the sun light up the sky, writing in my journal to capture first thoughts, and eventually throwing in the first load of laundry when the day begins in earnest. One of my favorite things... thinking up something nice, something new, something borrowed maybe too ... to write about here on It's A Beautiful Life. 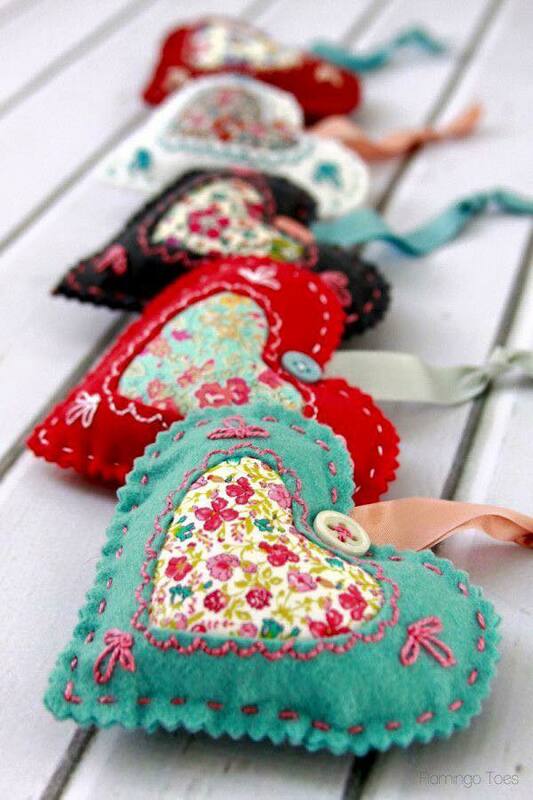 I am (not) creating... crafty things these days but after seeing these hearts I wish I were ... aren't they adorable? My fingers itch to pick up a needle and thread, and begin. I am wearing... black jeans, sleeveless sea green top and seashell earrings that tinkle when I move my head. "Your journal should be a wise friend who helps you create your own enlightenment. Choose what you think has some merit or lasting value, so that when you reread your journal in years to come it will continue to nourish you." "Some days I can think of nothing worth writing down. Fortunately, I am not alone. By my chair, I keep a small, revolving collection of essays, spiritual autobiographies, poetry, and other writers' journals to inspire me ... We are different, on the lookout for different things. But if you want your journal to have any lasting value for yourself or others, I can only think of one rule to follow: Lean toward the light." I learned... travelling around Great Britain last summer, that we were the ones who have the accents. Not them. Or so we were told. Ha ha. In my kitchen... 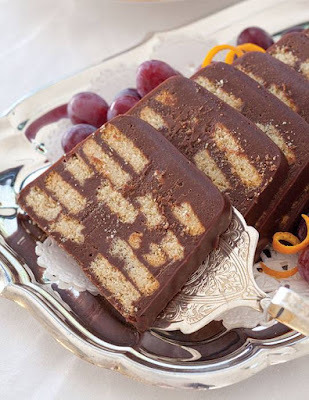 I'm going to make a Chocolate Biscuit Cake today for Valentine's Day. I first saw this recipe via Tea Time Magazine's Facebook page. I think it looks completely scrumptious. My Aunty Marlies, on seeing the photo, remembered when, in her youth, she and her girlfriends would make this for parties; on Sundays they would stay at each other's houses until evening (church) service. I asked if she and her girlfriends would talk about all the cute boys while eating this 'creamy and delicious' cake. "Yes, and our exciting futures!!" You might be interested to also learn, according to Tea Time, this happens to be one of Queen Elizabeth's favourite desserts. I'd imagine, upon savouring a slice, we'd all feel a little Royal ourselves. Should you wish the recipe, you'll find it here. Don't come to me for safety pins. Don't teach your children to spit through the cracks. And save the yellow for your fellow. In my garden... There really isn't much going on in my garden. Except for the birds and our visiting bunny, everything else is covered in snow. So, today I feel inclined to share a garden tale of another kind. As you will recall, Rick and I spent last July visiting England and Scotland. 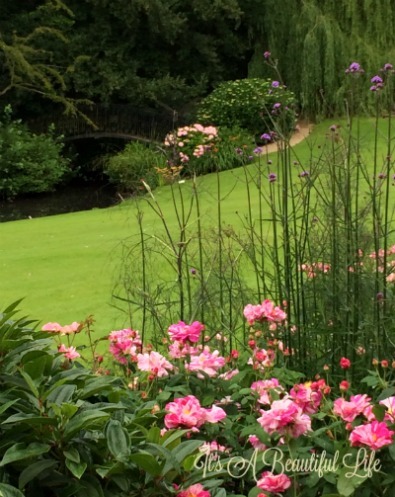 One of the things we included in our plans was a six-day Garden Tour with Flora Garden Tours. Which turned out to be a wonderful week. So many times I felt that I was living in my daydreams as we walked through these beautiful places. Although sometimes, too, I wondered why I hadn't put on my serious walking shoes until I finally realized comfort really is more important than looking stylish. Even in an English country garden. 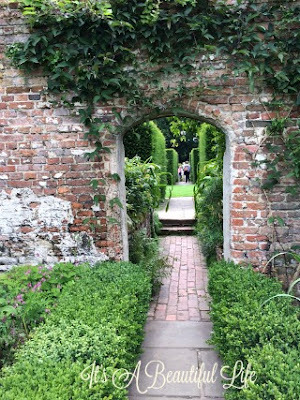 We visited a number of famous English stately homes and gardens and some lesser known lovely ones. It was all so heartrendingly beautiful. In case you're thinking of travelling across the pond one year, maybe even this summer, I can truly recommend these tours. Dr. Barbara Sommerville, a woman keenly interested in the history of gardening, landscape and architecture, is a delightful and knowledgeable tour director. Take a peek at her 2017 itinerary -- warning, it will make your heart ping when you see her pics. Here are just a sampling of photos I took from our tour ... to whet your appetite. And, yes, I do want to post more from our trip over the coming weeks -- so many pretty places and interesting views to show you. Post Script... 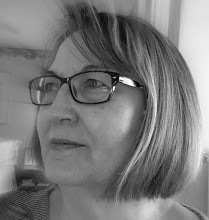 Yesterday I had the privilege to Guest Post at InScribe where I explore what makes writing a joyful experience for me. I'd love to have you stop over -- click here for the post. Closing Notes... Happy Valentine's Day -- let's spread the love and kindness today and every day. What lovely moments from your day, Brenda. Seeing the photos of the gardens you visited makes me realize how fortunate we are to have these beautiful places to visit. I have a couple of mugs very similar (if not alike) to yours. Thank you for sharing these lovely quotes. 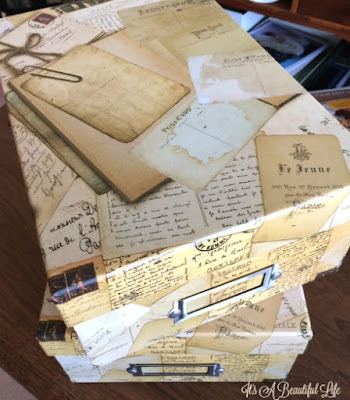 I like to use pretty boxes to store letters and cards too. I look forward to hearing how the chocolate biscuit cake turns out. Happy Valentine's Day, Brenda! I just remembered a PS for the photo box section. Tucked up in the cupboard are two, maybe three older photo boxes -- they house the love letters and greetings Rick and I exchanged in the very beginning of our relationship. I haven't read in them for years. And I kept every card we've exchanged over the years ... Christmas, birthday, anniversary, Valentine's Day, notes in between. Some were passionate, others were silly or funny, but they all spoke our love for each other through the thick and thins of life. Maybe for our 20th we'll bring them out, blow off the dust, and share some nostalgic moments. Jeepers ... where did the years ago? It feels like I just started those boxes. You fill a post with so much and I want to respond to everything...not possible. I very much enjoyed your guest post about writing. I do love photo boxes for photos over albums and digital. In fact, I rarely look back on digital photographs, but often look at the albums or rummage through the boxes. Yes, there are odd ones out here. I think I would like that cake so will follow the link and several others as well. And your eleven year old friends made me laugh! How adorable you all must have been. Now I am older than you by a few and autograph books had long gone out of style in my corner so I never had one. I do have several belonging to my mother and grandmother. They are always fun to read. Oh, Brenda, this is beautiful to behold. Your images and your words are like a refreshing and colorful spring bouquet on a cold, grey winter day. Thank you. Another beautiful post! 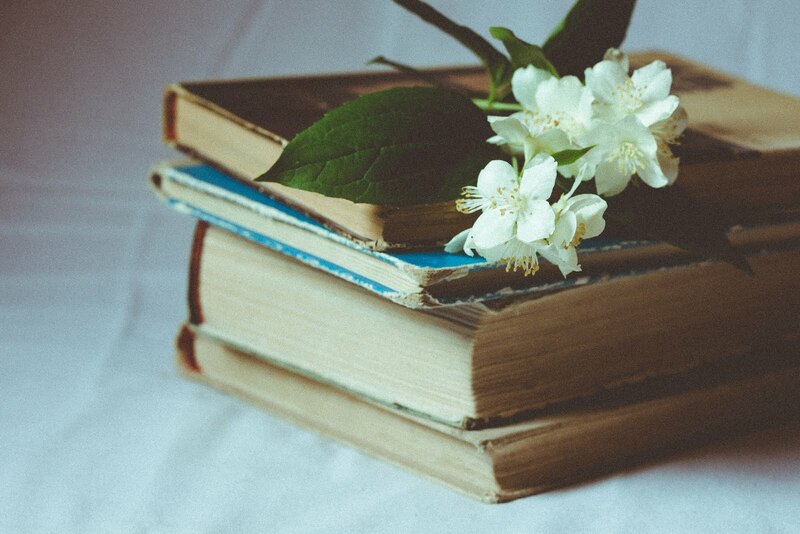 Your blog is beautiful and you are a talented writer - your words are always a treat! Thank you for all the inspiration. How I love these visits with you. 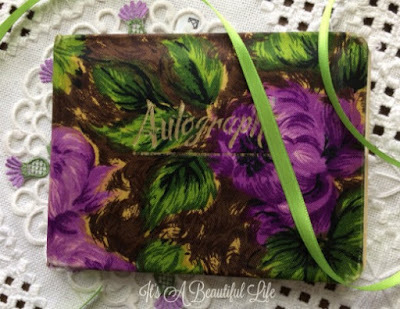 I have the very same autograph book, same print and colour, and some of the same messages in it! It was the fad back then. There is a different energy in the air here, too. A hint, just a hint, of spring. The mornings are a bit lighter and the light lingers just a titch in the late afternoon. Yesterday morning, for the first time in months, I heard a bird chirping outside, before I got up. Happy Valentine's Day, Brenda, enjoy your day! What a lovely post. I always look forward to sitting down with a nice cup of tea and reading what lovely words come forth. I love reading your posts Brenda, they are beautiful. I just saw a picture of that cake somewhere, I think in connection with the Queen's 65 anniversary. Her favorite cake? Anyway, looks like something worth trying. 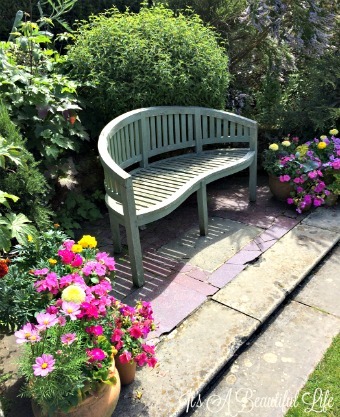 The garden tour sounds wonderful!! We've been watching Victoria, and at one point I sighed and turned to my husband and said, I was born to be Queen. Haha! Or at least a lady of some standing. Can you imagine walking all those lovely gardens in a beautiful long dress and then coming in to a lovely tea all ready for you? And then saying, as Victoria did in the series one morning, I feel like going to Windsor Castle. And everyone jumps to and does your bidding! Well, such are the things fantasies are made of . . . Although sitting with a cup of coffee and watching the birds in our own humble abodes is pretty thrilling all on its own. 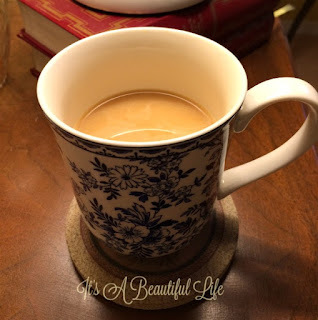 I enjoyed relaxing and reading your post and about your daily life. Wish I could see your pretty earrings...sounds like some I would like! 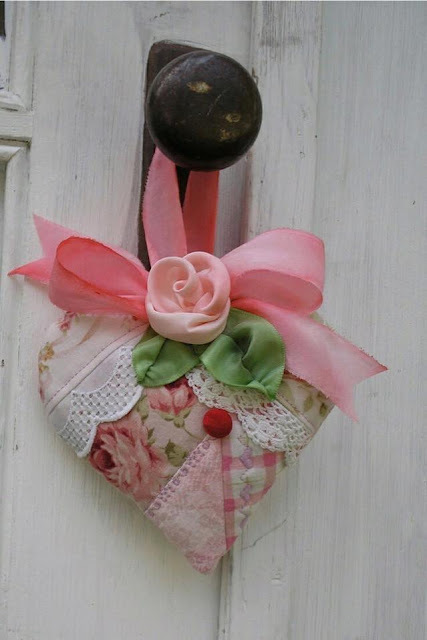 And I love all the pretty hearts...and need some of those boxes to put little things! Enjoy your day sweet lady! I love those boxes from Micheal's too and have a bookcase full of them, AND they actually have photos in them (far too many photos) before my camera was digital. One chore I never dealt with in my house purging last year. 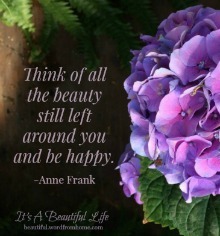 Thank you for sharing all these little glimpses into your life Brenda ... enjoy the week ahead!